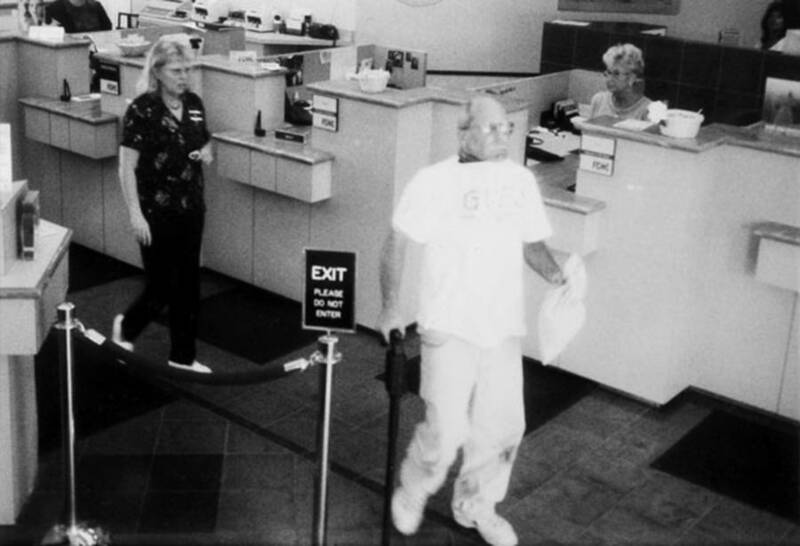 Discover the bizarre yet true story of Brian Wells, the man who exploded after robbing a bank with a bomb strapped around his neck, and Marjorie Diehl-Armstrong, the "Evil Genius" who may have been behind the whole thing. Erie Federal Courthouse/Erie Bureau of Police via WiredSecurity camera footage of Brian Wells walking toward the bank’s exit, bomb strapped around his neck, just after the robbery. On August 28, 2003 in Erie, Pennsylvania, Brian Wells’ pizza delivery went horribly wrong when it ended with him dying thanks to a bomb locked around his neck. Wells’ working day was normal when an order came in to Mama-Mia’s Pizza-Ria at 1:30 p.m. The 46-year-old delivery man was to bring two small pizzas to an address on the outskirts of town. But when Wells got to the address, everything quickly changed. Rather than a house, the location to which Wells had been sent was a TV transmission tower surrounded by woods. What exactly happened there remains mysterious, but what we do know is that someone locked a bomb collar around Brian Wells’ neck and ordered him to rob a bank or else he would explode. So began the story of one of the strangest bank heists in history, and the subject of the new Netflix special Evil Genius. At the bank, Brian Wells handed a teller a note demanding $250,000 within the next 15 minutes. However, the teller explained that she couldn’t gather that much money in so little time and only gave him $8,702. But even though Wells was carrying a gun specially crafted to look like a cane and even though the person who’d locked the bomb around Wells’ neck told the delivery man he was being watched, a nervous and fearful Wells left the bank with the $8,702. Shortly afterward, the bank contacted the police, who quickly found Wells standing outside his car in a nearby parking lot. That’s when things took a deadly turn. Wells told police that people had placed the bomb around his neck and that it would go off unless he completed a scavenger hunt that would give him the keys and codes to free himself from the device. As police called in the bomb squad and then took cover, Wells sat on a parking lot of an eyeglass shop near the bank. The collar exploded three minutes before the bomb squad arrived and 30 minutes after the robbery. It ripped a hole in the chest of Brian Wells and he died right there. Authorities then began searching Wells’ car, which led them to the scavenger hunt clues — Wells had been telling the truth about that. In fact, Wells had already retrieved the first clue between the time when he left the bank and when the cops picked him up. It was a two-page note that explained that the rest of the clues would let him live and then directed him to his next clue. But when police followed the trail to the next clue, they found that someone had already deliberately removed it. Now authorities had more reason to suspect that Brian Wells had been telling the truth and that there were other conspirators involved in this bizarre plot. And not only was this Evil Genius plot bizarre, it was extraordinarily complicated and fraught with conflicting stories from those involved. 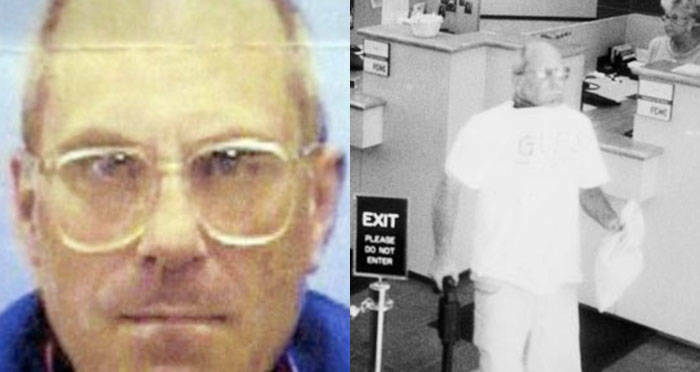 Things grew more complicated three weeks after the botched bank robbery when a man named Bill Rothstein called police to confess that there was a body in his freezer. Police soon found that the body belonged to a man named James Roden. Initially, Rothstein told police that Roden’s death had nothing to do with the Wells case. Instead, he said that an ex-girlfriend of his named Marjorie Diehl-Armstrong had killed Roden in a dispute over money and contacted Rothstein for help in disposing of the body. He’d initially agreed to help but now decided he couldn’t go through with it, he said. But soon, Rothstein claimed that Marjorie Diehl-Armstrong, a local woman with a criminal past who lived with Roden a month before the heist, hatched the bank robbery because her father was squandering her multimillion-dollar inheritance and she needed money to pay a hitman to kill him before all the money was gone. Diehl-Armstrong then killed Roden when he threatened to tell police about the whole thing. Police now had enough to arrest Marjorie Diehl-Armstrong, but Rothstein’s role in the whole affair remained unclear. Was Diehl-Armstrong actually the mastermind and was he as relatively innocent as he presented himself to be? Those questions would become harder to answer after Rothstein died of lymphoma in 2004, before being brought to justice for his part in the whole Evil Genius affair. Nevertheless, it soon began to look like Marjorie Diehl-Armstrong was the actual evil genius after all. She’d already pleaded guilty to the Roden murder and received seven to 20 years for it in 2005, but her role in the bank robbery was harder to suss out until another conspirator came forward. In 2005, another man Kenneth Barnes was turned in to police by a family member after speaking freely of his involvement in the Brian Wells case. 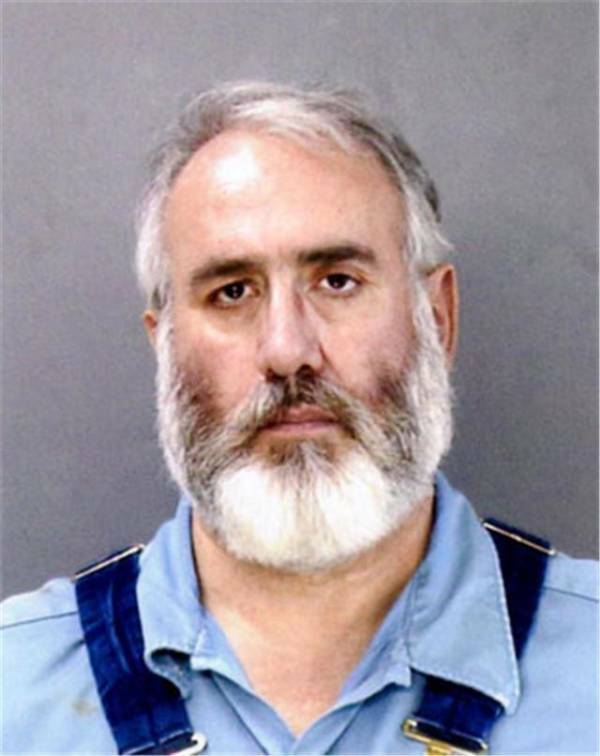 Once in custody, Barnes cooperated with police and, like Rothstein, claimed that Marjorie Diehl-Armstrong was the mastermind behind the whole operation. Furthermore, with help from Barnes, authorities soon came to realize that Brian Wells wasn’t an innocent pizza delivery guy who simply got a bomb locked around his neck one day. In fact, Barnes told authorities that Wells was in on the plot from the beginning. As Wells understood it, the bomb around his neck was supposed to be a fake, a decoy that he’d use to threaten the bank employees. But when he went to the secluded area by the TV tower, he learned that the other conspirators led by Diehl-Armstrong had changed their minds and put a real bomb around his neck. Brian Wells’ family was shocked by the announcement. To this day, they maintain that he was an unwitting victim in a bizarre chain of events. The family says that the authorities totally screwed up the investigation from the get-go. They also believe the co-conspirators simply lied about Wells’ involvement as a cover story. However, Barnes stuck to his story about Wells’ involvement. And even though he’d cooperated with authorities, he was still sentenced to 45 years in prison after pleading guilty to bank robbing charges in 2008. 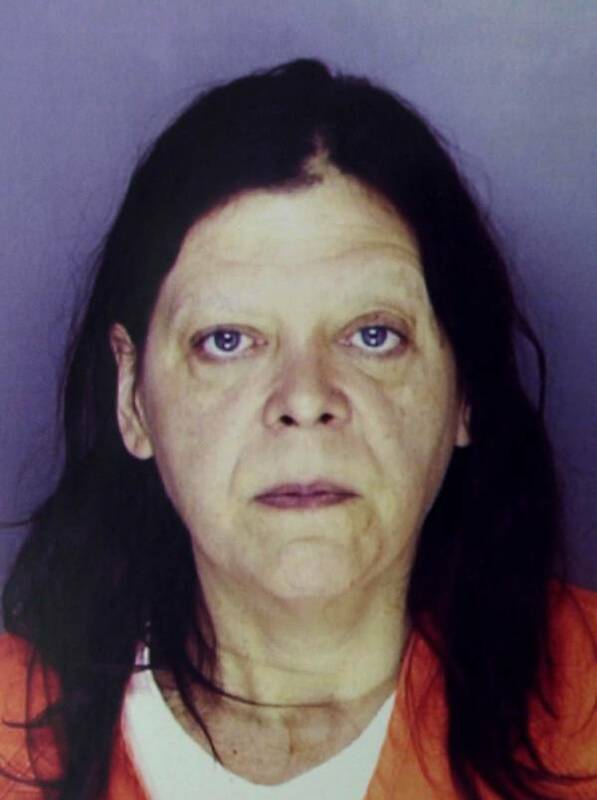 Two years later, Marjorie Diehl-Armstrong, the woman who everyone had been calling the mastermind all along, got her day in court in the bank robbing case. She appeared unhinged on the stand (she’d claimed mental illness for years) as she ranted unceasingly and ignored the judges’ demands to control herself. The jury easily convicted her on the bank robbing charges and sentenced her to life in prison. That life wouldn’t last long, however, as she died of cancer in prison in 2017. But was she the mastermind all along? At least one investigator, retired FBI agent Jim Fisher, believes that Rothstein was the one who actually had the bomb-making abilities to concoct the whole plot. We may never know who the true evil genius of the Evil Genius case was for sure. After this look at Brian Wells, Marjorie Diehl-Armstrong, and Evil Genius, read about the French model killed by an exploding can of whipped cream. Then, watch a murderer give an interview about his dead neighbor before he was caught.